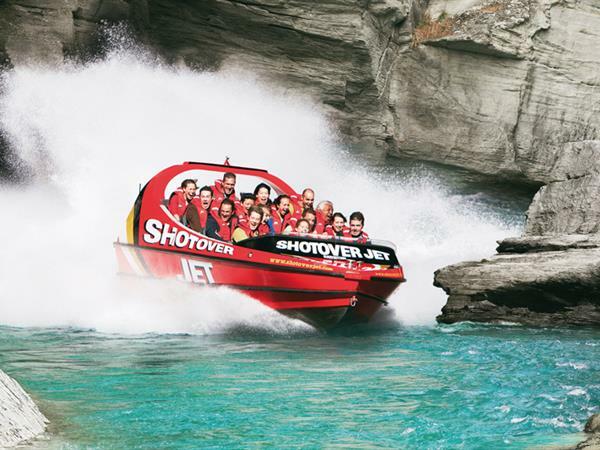 World famous as the ultimate jet boat experience, Shotover Jet has thrilled over 3 million people since 1970, and now it’s your turn! Take a unique breathtaking ride through dramatic and narrow canyons, and hold on tight for Queenstown’s only exhilarating full 360° spins. ‘Can you handle the canyons?’ with award winning Shotover Jet, 'The World’s Most Exciting Jet Boat Ride' and the only company permitted to operate in the spectacular Shotover River Canyons. For more information visit www.shotoverjet.com.